This is by far one of my favorite manis I've ever done. Easily in my top 5!, Maybe even #1! Just going to get on with the pics and not bore you with blabbing! haha. 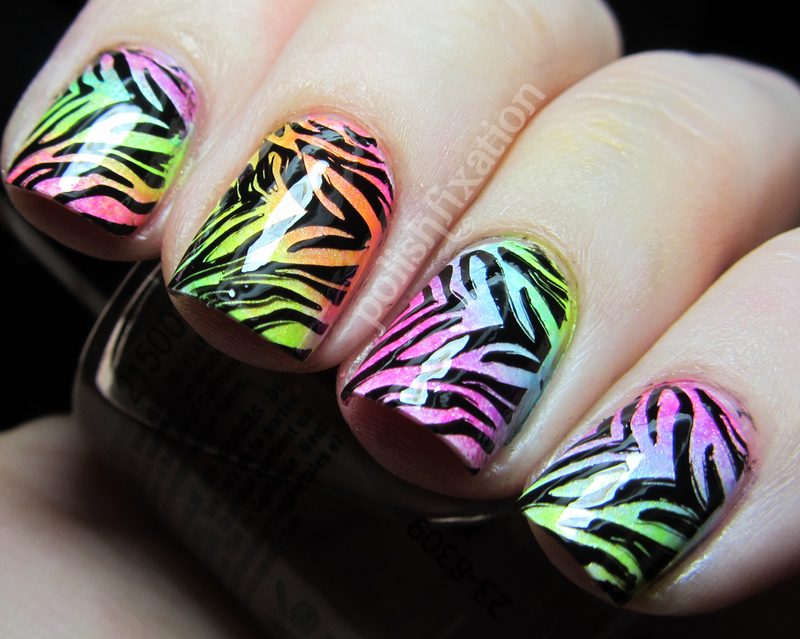 I started by painting my nails white, then I sponged on a mix of neon polishes, all by China Glaze. Then I stamped from Mash-41 with Wet N Wild Black Creme. I must repeat this again, maybe with a different stamped image! It was pretty simple but got a *gazillion compliments when I was wearing it. 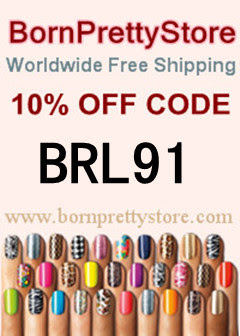 Love love love the great colorplay behind the stamp, brava lady!!! Stunning!!!! 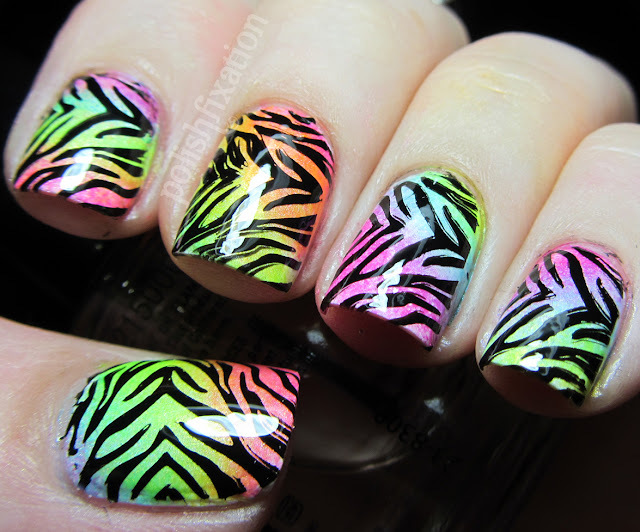 This is incredible, I love the bright colours and the animal print - its amazing! super love!!! can you do it on my nails pls! This is straight up adorable! I love it! I am in LOVE with this! So cute Erika!